The Green Giant Arborvitae (Thuja standishii x plicata 'Green Giant') is also called Western Red Cedar. This has become one of the most desired landscape trees in the US, and for good reason. With a growth rate of 3-5 feet a year, this tree has one of the fastest growth rates of any Arborvitae available for sale. As its common name implies, this is a "giant" Arborvitae that will grow twice as many feet tall as other Thuja varieties. It's triangular shape provides a wonderfully strong accent in the landscape. 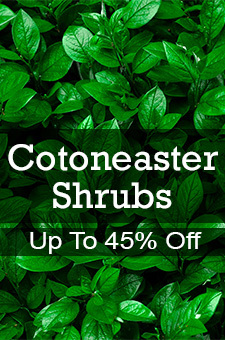 Feathery sprays of foliage begin at the base of the Arborvitae and extend slightly upward along the entire tree. The vibrant green coloring stays true all year, not even fading during the cold winter months. Native to North America, this fast-growing evergreen tree features good form with beautiful fragrant foliage all along the entire length of the trunk. You'll love how it will hide messy views and give you a sense of natural privacy. Many neighborhoods have limitations on the size of fences. But you won't have to worry about that with a row of these gorgeous trees. Plant Thuja to create a magnificent backdrop that requires very little maintenance. Cloaked in thick, soft, dark green foliage from top to bottom the Green Giant Arborvitae makes an almost instant privacy screen. Often used in commercial settings to block undesirable views, imagine what it will do for you to block nosy neighbors! Spacing them 5 - 6 feet apart (measuring from trunk to trunk) will ensure a super thick screen very quickly. They can also be spaced 8 - 12 feet apart, if you want a looser, less formal screen as the plants develop. Although stunning in rows, the Green Giant Arborvitae can also be planted alone as a single plant sentinel in your yard or plant them in groups to form a living frame highlighting a special part of your landscape. They're also a beautiful living wall shielding you from unwanted views, noise and wind. Order this care-free tree today! Arborvitae means "tree of life", which attests to the hardy nature of this evergreen tree. You won't have to worry about it surviving ice storms or heavy snow. It's a selection that is native to North America and has flexible branches that bend - even with heavy snow falls. Birds love it, but most insects don't, and deer seem to leave it alone as it matures. It's on the Nature Hills "Deer Resistant" list. 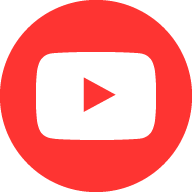 Choose the site when you'll plant it carefully to get the best results. 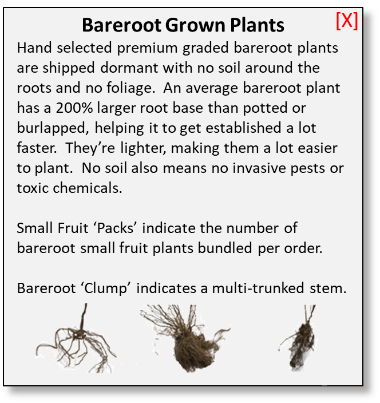 Although it grows well in a wide range of soils, this tree prefers moist, well-drained soil. Green Giant Arborvitae can also take periodic exposure to wet sites but won't thrive in standing water. It will grow fast during dry spells, but appreciates regular deep watering as a young tree. Once established, it is drought tolerant. Growing this Thuja is easy. It will grow in full sun, but can handle a little shade. Give the deep, fibrous growing root system plenty of mulch, but be sure to leave space all around the trunk. When planting, use Nature Hills Root Booster under the root ball for the very best start. Consider applying a slow release granular fertilizer that will feed the fast pace of growth. Dr. Earth Life Organic and Natural All Purpose Fertilizer features "Throw and Go" convenience and is a long-lasting, effective solution that's safe for people and pets. This is a great tree at a great price. Order yours from Nature Hills today! "I usually purchase nursery items from Lowe's/Home Depot, this was my first time purchasing trees online. I bought 6 Green Giant Arborvitaes from Nature Hills, which were shipped/delivered very quickly, and arrived in pristine condition/very healthy looking.  Based on my experience with them, I would definitely recommend Nature Hills Nursery. We have had Green Giants over the years, and they are the fastest growing/best looking/most disease resistant of the evergreens."